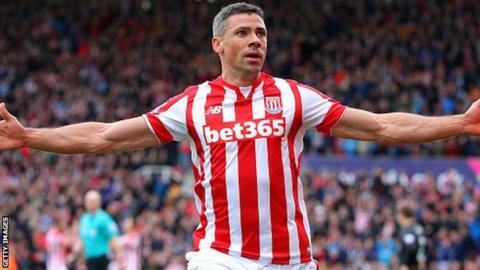 Stoke City forward Jon Walters has signed a new two-and-a-half-year contract with the Premier League club. Walters rejected a previous contract offer from the Potters, who turned down a £1.5m offer from Norwich for the player in August. But Stoke announced on Saturday the Republic of Ireland international, 32, had now signed a new deal. Former Ipswich player Walters has scored two goals in seven Premier League appearances this season. Walters joined Stoke, who started the weekend 14th in the table, from Ipswich in August 2010.